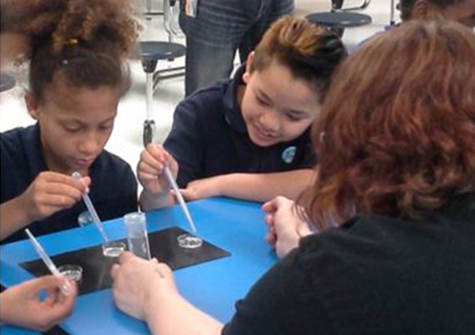 OSU Center for Health Sciences graduate student Amie Francis explains experimental methods to two Eugene Field Elementary fourth-graders during an after-school science program. 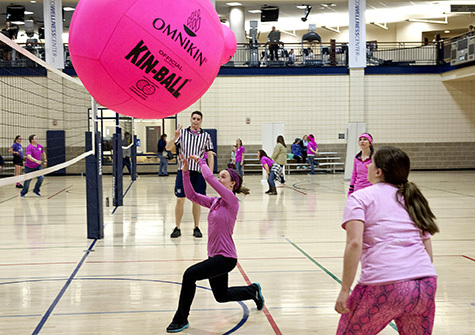 Big Pink Volleyball celebrated its fifth year at the University of Central Oklahoma in February. The weeklong single-elimination tournament features volleyball games with a giant twist — teams play with a 4-foot pink volleyball. The tournament raised $7,552.57 for Susan G. Komen of Central Oklahoma in 2015 for a total of nearly $25,000 in its five-year history. 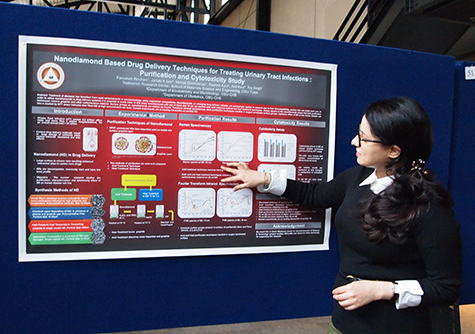 OSU-Tulsa doctoral student Parvaneh Rouhani presented a research poster on nanodiamonds at the fifth annual OSU in Tulsa Research Day.